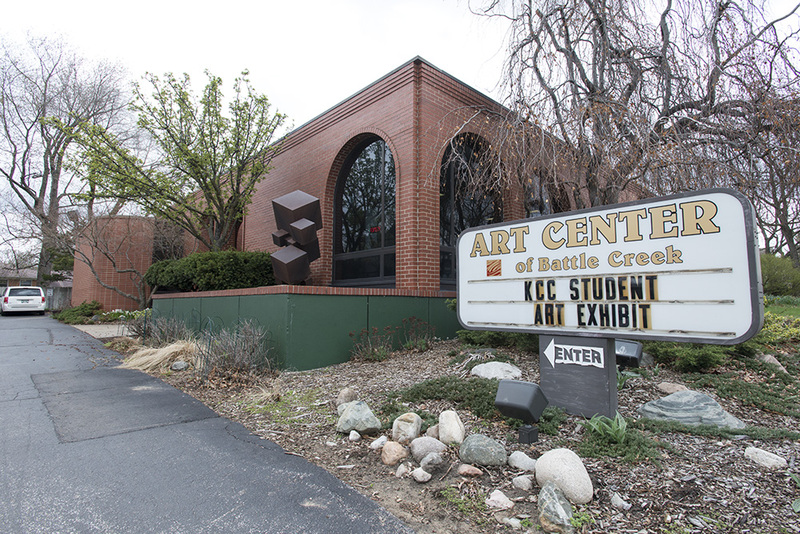 The Art Center of Battle Creek will showcase more than 100 works of art by nearly 70 student artists as part of Kellogg Community College’s Annual Student Art Exhibition this month. The exhibit, which is free and open to the public, opens today, Tuesday, April 21, and runs through Friday, May 1, at the center, 265 E. Emmett St., Battle Creek. The student art exhibit can be viewed during the center’s business hours, which are 10 a.m. to 5 p.m. Tuesdays through Fridays and 11 a.m. to 3 p.m. Saturdays. A reception celebrating the exhibit will be held from 3 to 6 p.m. Thursday, April 23, at the center, where several KCC art classes are being held this semester while the College’s Davidson Visual and Performing Arts Center is being renovated. The Annual Student Art Exhibition showcases the works of current KCC visual arts students and includes 10 media categories including ceramics, drawing, painting, 2D mixed media, sculpture and 3D mixed media, black and white photography, digital media, printmaking/alternative photography print processes, graphic design/digital illustration and animation/video. This year’s professional juror for the exhibition is Linda Holderbaum, executive director of the Art Center of Battle Creek. Holderbaum has worked with the Art Center of Battle Creek for more than two decades, serving as curator of exhibits and collections for 12 years and working as executive director for the last decade. A former public school art teacher in the Battle Creek and Lakeview school districts, Holderbaum holds a degree in art education from Western Michigan University with a concentration in painting and has completed graduate work in art history and museum studies. Her work is part of the permanent collection at Central Michigan University. The College’s Student Art Exhibition is the just the latest KCC art exhibit to be hosted at the Art Center this year. The KCC Faculty Biennial Art Exhibition, featuring art created by the college’s Arts and Communication faculty members, was held at the center in February. For more information about KCC’s Annual Student Art Show, contact KCC Photography and Multimedia Program Coordinator and Gallery Director Ryan Flathau at 269-965-3931 ext. 2559 or flathaur@kellogg.edu. For more information about art studies and opportunities at KCC, visit www.kellogg.edu/art. Also April 23, a Release Event for the latest edition of Mosaic, KCC’s student art and literary journal, will be held from 2:30 to 3:30 p.m. in the lobby of the Binda Performing Arts Center, on campus at 450 North Ave., Battle Creek. The latest Mosaic edition includes nearly three dozen works from nearly two dozen KCC students. In addition to free copies of the publication, the free event — which is open to all KCC students and staff — will include light refreshments and prizes awarded for select student works. Click here for more information about the Mosaic Release Event.